I did not see myself as the kind of person who 'did' yoga - I strength trained, I ran, I rode horses, I sat for long periods of time at my desk and 'got sh*t done'... I definitely didn't see the benefits of opening up my body, or moving slowly and mindfully. Out of sheer stubborness to rest completely, I decided if I couldn't do the exercise I wanted to do, I would try going to a yoga class - I was told that it could be very healing for back injuries. So I signed up to a class and that first experience was a turning point in my life! 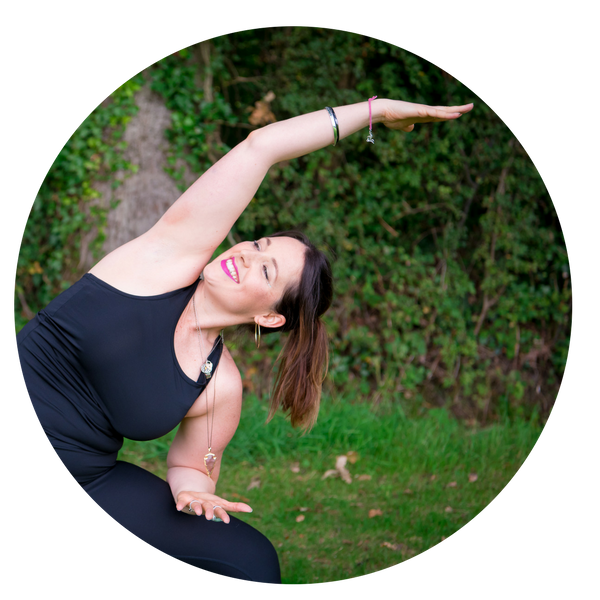 I fell head over heels in love with the strength and connection that yoga gave me - and the way it taught me so much about my body - even though a lot of the times I didn't necessarily want to 'hear' what it had to say! In truth, the back injury was simply the icing on the cake after a long period of time spent disconnected from my body. Stress, anxiety, disordered eating, digestive issues and an overall feeling of numbness had all accumulated and my injuries and physical discomfort were a reflection of my inner wellbeing. I came home to myself on the yoga mat. In 2016 I decided to take a leap of faith and travel to Costa Rica for a month and study to become a yoga teacher with Yoga Academy International. I went with the intention of just doing this for me - and I came back knowing I had to share it. The physical practice of yoga - known as Asana - has given me so much. It has reconnected me to my body so deeply I can no longer ignore the messages it gives me. It has of course improved my flexibility and strengthened my body but far more than the physical benefits - yoga has taught me patience, acceptance and immense gratitude for my body. This practice has taught me about kindness, compassion and truthfulness, and it has enabled me to support and guide many other people to find their own unique path with the practice. That is an honour I continue to be grateful for. Creating the time in our schedules to prioritise ourselves by committing to a practice and creating space in what is often a busy and overstimulated mind brings us back to our natural essence. The practice will give you exactly what you need - even if sometimes that is not what you expect. We learn to detach from outcomes when we are on the mat - which can be a useful skill to learn for outside the studio. Since my first teacher training in June 2016 I have had the incredible opportunity to deepen my training knowledge with some of the world’s leading teachers, including Uma Dinsmore-Tuli, Jason Crandell, Tanis Fishman and Heather Ivany. Each training I have done has been like a remembering to me - bringing me closer and closer to my own truth, and having the wonderful opportunity to share these sacred practices with others. My teaching style brings together alignment and intuitive movement which always has the body’s best interest at heart. I weave movement and meditation, attention to the breath and self enquiry into each practice with the aim of both challenging, but nurturing students in a safe and protected way. To find out about current class offerings, one-to-ones, workshops and retreats, email me using the button below and I will be in touch.